Monthly price based on 2 people sharing the total monthly charge of $95. One account and one bill. Pool Plan and Carryover Plan T&Cs apply. Please note, SIM only plans can be purchased via this website. Please speak to your Independent Business Owner (IBO) if you are also interested in purchasing a handset. Complete the form below to start shopping. 1. Coverage and Services may be adversely affected by radio interference, geographic or atmospheric conditions, outages, maintenance works, over-loading, faults or limitations in your Mobile Phone or the mobile phone or other device of the person with whom you are communicating, faults or other operational difficulties in the 2degrees Network or any other mobile telecommunications network to which our network is connected, or other circumstances or factors not wholly in our control. This means you may not receive all of the Services in all areas all of the time. 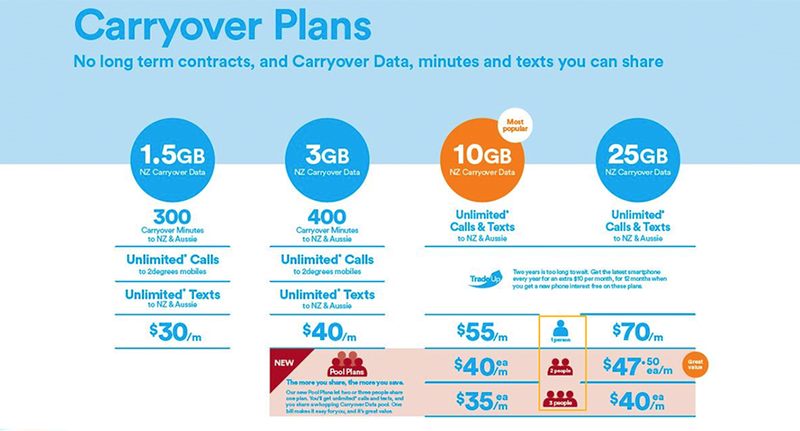 See https://www.2degreesmobile.co.nz/termsofuse/mobile/pay-monthly/pay-monthly-terms-and-conditions/ for full T&Cs on ‘Coverage’. 2degrees Fair Use Policy applies. Plan T&Cs apply. Standard NZ and AU mins and person to person text, excluding premium rate numbers and voicemail. Calls rounded up to the nearest minute. You need to activate Shared Data services to share data. NZ data use only. Calls and texts to countries other than NZ and AU can’t be shared. Family Share T&Cs apply. If you subscribe to Services with no fixed term, this Agreement will continue on a month to month basis in respect of those Services (or Plan) until terminated. See https://www.2degreesmobile.co.nz/termsofuse/mobile/pay-monthly/pay-monthly-terms-and-conditions/ for full T&Cs on Commencement of Agreement. 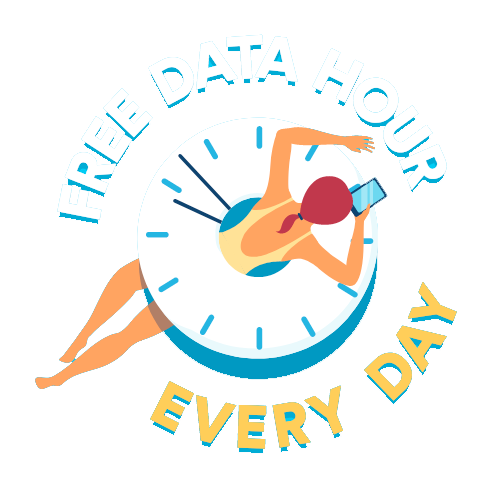 Free hour of data: Fair Use Policy applies. 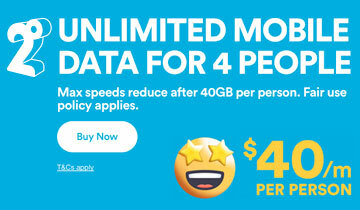 From 15/04/19 Data Clock max speeds will be reduced to 3G speeds of up to 1Mbps after 40GB/month. 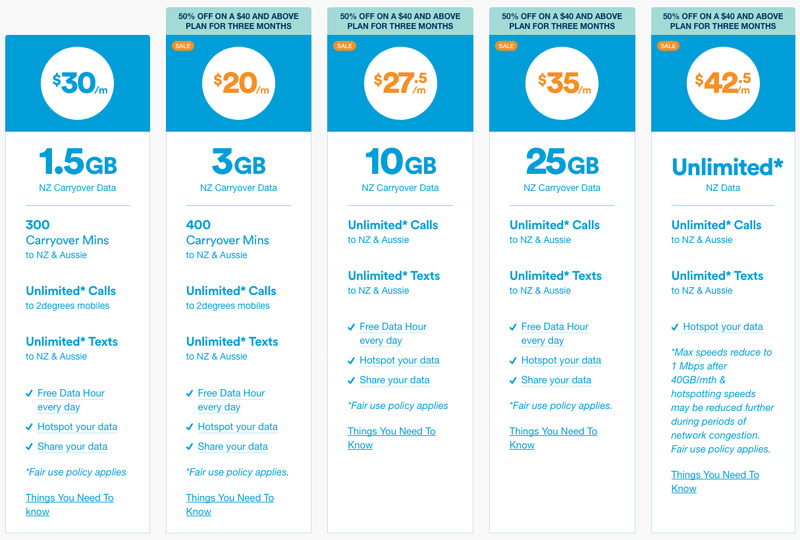 See https://www.2degreesmobile.co.nz/termsofuse/mobile/extra-services/data-clock-terms-and-conditions/ for full T&Cs on Data Clock. WiFi Calling/Calls/Texts means using a WiFi broadband connection (instead of a cellular network) to make or receive calls and texts on a Mobile Phone using the 2degrees WiFi Calling service. See https://www.2degreesmobile.co.nz/termsofuse/mobile/extra-services/wifi-calling-terms-and-conditions/ for full T&Cs on WiFi Calling. Having an issue signing up online with 2 degrees? Please call 0508 226 000 (10:00am to 8:00pm NZT) for assistance from an ACN support officer.